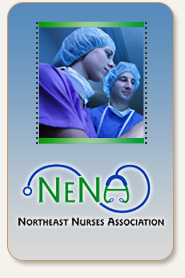 The Division of Organizing works with non-unionized nurses and health professionals in Massachusetts and New England who want to organize a union with the Massachusetts Nurses Association/Northeast Nurses Association. From negotiating increased wages and benefits to addressing inadequate staffing, to advocating for patients rights, our members are making their united voices heard loud and clear. Organizing takes its form in improved working conditions, better pay scales and the right to “due process” through grievance and arbitration procedures. Although they may not want to admit it, employers also benefit from unions through increased productivity, less turnover and longer workforce tenure. Training, knowledge and protection are the tools needed to be effective advocates for yourselves and your patients. 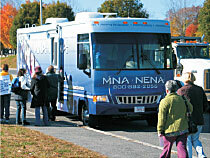 MNA/NENA can provide those tools…but only you can put them to work. Once empowered, there is no limit to what union members can achieve. Protect, advocate, unite…organize. Contact us about organizing at your workplace by calling 800.882.2056, x777 or email us at enorton@mnarn.org. Patients in unionized hospitals have better outcomes than patients in non-union hospitals (Journal of Nursing Administration, March 2002). On average, unionized nurses make at least $2.69 per hour more than non-unionized nurses (Advance for Nurses Survey 2002). Unionized nurses work 35 percent less mandatory overtime than non-unionized nurses (Advance for Nurses Survey 2002). Unionized employees are 25 – 55 percent more likely to have access to a number of on-the-job benefits, such as pensions, health insurance, disability insurance and paid time off than non-unionized employees (AFL-CIO 2005).